WASHINGTON, D.C. – (RealEstateRama) — If you are one of the Florida residents who suffered damage when Hurricane Michael tore through the Panhandle in October and who either has started or is planning to start rebuilding, the State of Florida and FEMA have a wide range of free resources available to you.
? If you don’t have a computer, you can visit one of the participating home improvement centers during one of the many events where you will find FEMA advisers who can help you one-on-one. They can give you information as well as provide brochures and other publications on what to do when you are building or rebuilding after the floods. These booklets are available in English and Spanish. No registration is required and there is no limit on the number of times you can visit or the number of publications you can get.
? You can go online at www.fema.gov/disaster/4399, scroll down and click on Mitigation Locations to see when and where the FEMA advisors will be available to help.
? Against The Wind: Protecting You Home From Hurricane Wind Damage Following Hurricane Andrew, a team of experts examined homes that failed and those that survived. This brochure discusses things you can do to help make your home stronger and more resistant. moving your home to higher ground (Relocation); sealing your home’s exterior walls (Dry Flood-proofing); constructing barriers to prevent floodwaters from entering your home (Levee and Floodwall); and razing your home and rebuilding property on the same property, or buying a home elsewhere (Demolition).
? Protecting Your Home and Property from Flood Damage: Provides information on steps to take after a flood, how to get a building permit, how to select a contractor and a guide on how to prevent future flood damage to your property. o Ensure that you are hiring a licensed contractor. o Always verify a contractor’s license by visiting www.myfloridalicense.com, calling the Florida Department of Business and Professional Regulation at (850) 487-1395 or by downloading the free DBPR Mobile app. o Require proof of liability and workers compensation insurance. o Call the DPBR or local law enforcement to report any suspicions of contractor scams.
? Load Paths: Illustrates the concept of load paths and highlights important connections in a wind uplift load path.
? Minimizing Damage to Flooded Manufactured Homes: Shows what to do when water enters your home, or when water is under your home.
? Use of Connectors and Brackets: Highlights an important building technique that helps “harden” a structure to withstand high winds.
? Cleaning Up and Drying Out Your Home: Gives the steps to take if your house or its understructure have been under water from the recent flooding.
? Reinforce or Replace Garage Doors: Stresses the importance of reinforcing your garage door. This will help protect not only your garage but its contents as well. A list of FEMA publications that cover mitigation and rebuilding can be found at http://www.fema.gov/media-library/resources-documents/collections/6. 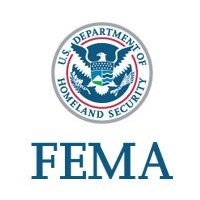 The form for ordering publications from FEMA is available at http://www.fema.gov/media-library/assets/documents/15792.